Some of the youngest lava flows on the Moon are within reach of China’s Jade Rabbit rover, says a leading US lunar scientist. The Chang’e-3 mission touched down on Saturday at the eastern edge of its designated landing box. Dr Paul Spudis said the landing area was more interesting than its original destination and could fill in gaps in our knowledge of lunar history. Meanwhile, officials have said that the rover’s instruments are now working. Five of the eight pieces of scientific equipment Chang’e-3 had begun their observations, state-run Xinhua news agency said. The telescopes and cameras are producing clear images, Zou Yongliao, a scientist with the Chinese Academy of Sciences, said at a press conference. The lander and rover photographed each other on Sunday evening. 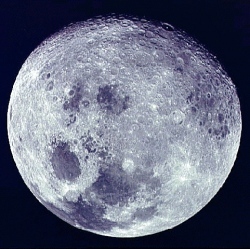 The Chinese craft performed the first "soft" landing (non-crash landing) on the Moon since 1976. And Jade Rabbit, or Yutu, is the first rover mission since the Soviet Union’s Lunokhod-2 trundled through the grey soil 40 years ago. A touch down had been planned in the Moon’s Sinus Iridum (Bay of Rainbows). But the spacecraft actually landed on the northern edge of Mare Imbrium (the Sea of Rains) – visible on Earth as the right eye of the "Man in the Moon". In a blog entry for the Smithsonian’s Air and Space magazine, Dr Spudis, from the Lunar and Planetary Insitute in Houston, said: "Whether by design or fortuitous accident, this site is actually more interesting geologically than the spacecraft’s original destination."